Jason and his staff were able to continue working as if nothing had happened, thanks to the portable refrigerated trailer supplied by Team Refrigeration at a moment’s notice and situated just outside the venue. When the Nut Tree country pub at Worle suffered a breakdown to the refrigeration unit in their cold room, they expected a quick call to the engineer to sort it out. But when the engineer informed them that the machinery needed parts which would take several days to arrive, suddenly they faced a situation which could literally stop them trading – with serious financial consequences not to mention damage to its hard earned reputation. 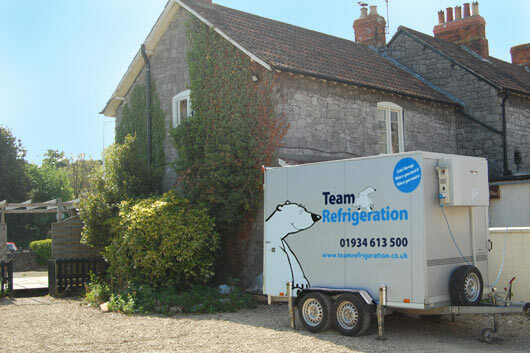 Fortunately, Jason (the pub manager) called Team Refrigeration, who were quick to respond.